Richard Rockwell purchased 435 Main St. in Rockland and has been renovating the downtown building. 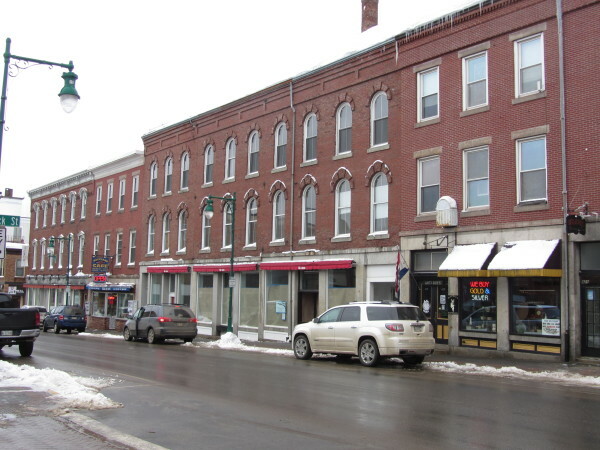 ROCKLAND, Maine — The owner of a downtown commercial building will receive a break on his property taxes over the next 12 years as a reward for investing in the Main Street complex. Richard Rockwell has spent $1.35 million on improvements to the building at 435 Main St. thus far and expects to spend another $2 million. He also is working with the city on improvements to the Thorndike parking lot, which is a city-owned lot between the business block and the harbor. The council Monday night unanimously approved an agreement with 435 Main St. LLC and its owner, Richard Rockwell, so that he will not be taxed on the full amount on any additional value that his property is assessed through 2027. During the first four years, only 25 percent of the additional value of the building will be taxed. That increases to 50 percent over the next four years and then 75 percent in the final four years of the deal. The property is assessed at $532,200 by the city. Rockwell also owns the nearby Hewett Block at 449 Main St., which he purchased from Barry Faber in August 2008. Rockwell has said he has an option to purchase 429 Main St., which abuts 435 Main St.
Rockwell said he eventually wants to install an elevator and connect the buildings so the upper floors of the structures can be converted to residences. This would attract year-round residents to downtown, he said in earlier meetings with the council.